Closed Thanksgiving week, 11/18-11/27. We hope you all have a fun and safe holiday. November has 3 weeks of classes and December has 3 weeks of classes. Payments are full tuition in November and 1/2 month tuition in December. Also we will have two weeks of camps for the Winter Break which are Wednesday - Friday. Engaging children with fun activities which build up their confidence. This class develops flexibility, agility, coordination & strength by building on their technical skills, strategy, & physical conditioning with purposeful practice & leadership skills. We cover fundamentals and basics and also introduce court coverage, rally consistency, and ball control. We want players to develop solid technique in a fun and enjoyable environment! We love to have a good time and relax after working hard so we host a ball machine party every few months. 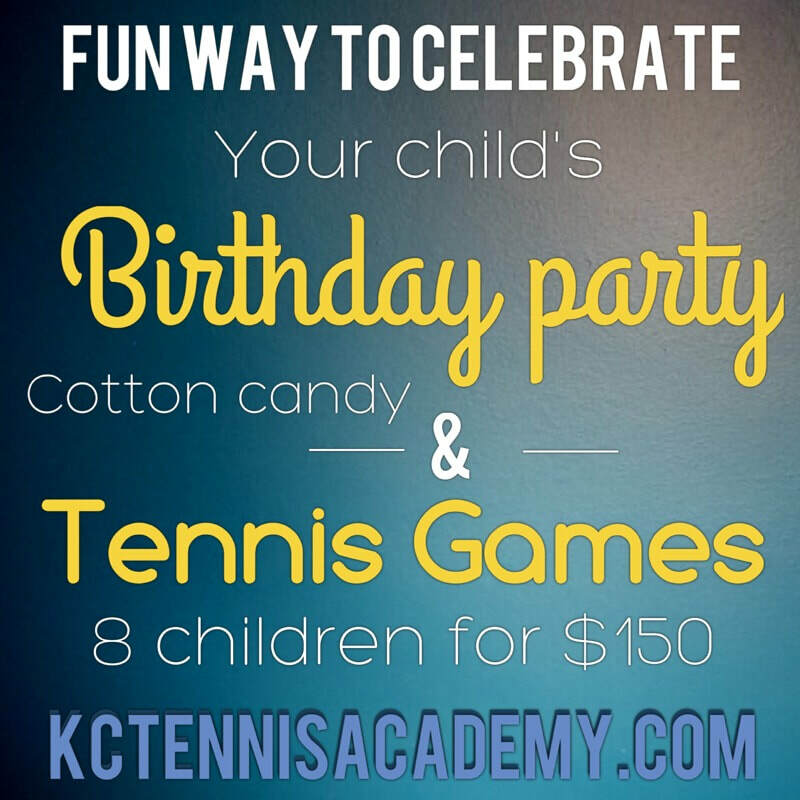 Great tennis matches and fun drills start out the event followed by pizza and cotton candy. Only $20 per participant for our two hour event and if you bring a friend they are half price. Our programs are available for all levels of players, beginner through advanced, as young as age 3.